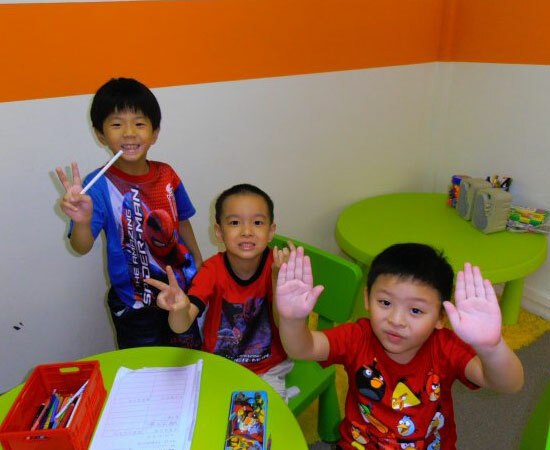 100% Chinese Literacy program emphasize on reading and writing, strengthen oral skills, HanYu PinYin, speech and drama etc. 7) Practices on oral skills, show and tell so that the children will build up better communication and presentation skills, and hence can relate fluently and confidently in Chinese. 100% Chinese Literacy program to recognize 350 Chinese characters, reading short sentences, HanYu PinYin, basic writing, songs and movement, hands-on-activities etc. 5) Songs and movements develop social skills etc. 6) Show and Tell to build up presentation and communication skills, so that the children can relate with Chinese more fluently and confidently. Some activities and photos of our current students are captured in the attached PDF file. Small class size, max 6 students in one class, so that the children will have full attention from our teacher who can pick up their strengths and weaknesses easier.